It goes without saying that, in order to remain in tune with your body’s natural rhythms and requirements, you have to become more familiar with what is happening on the ‘inside’. Consequently, probiotics like Lactobacillus helveticus have recently taken the centre stage of nutrition and general wellness as a result of their important contributions to digestion and immunity alike. In all fairness, only a few people can truthfully claim complete ignorance when it comes to probiotics nowadays – after all, they seem to be present in every health-oriented piece of news and dairy commercial. But our collective understanding of these beneficial microorganisms is still pretty incomplete, much to our own long-term disadvantage. Probiotics represent useful bacteria located at the level of the gastrointestinal and urogenital systems. Here, these minute organisms create durable colonies that adhere to their specific environment’s lining and which then fulfil various roles within the body’s general economy. For example, ‘friendly’ bacteria of the Bifidobacterium and Lactobacillus types have been shown to regulate digestive patterns, improve bowel motility, and normalize nutrient assimilation within the gut. In addition, their presence inside the lower GI tract greatly influences a person’s ability to fight off pathogens and other harmful organisms. This is obviously a very good vantage point for overall wellbeing if we take into consideration the fact that up to 70% of an individual’s immune screening can be found within the stomach, small intestine, and colon. But, although they constitute an innate part of the organism, probiotic numbers can sometimes plummet to dangerous readings due to prolonged antibiotic treatments, improper dieting, and even stress. Such negative influences affect probiotics to the point where your gastrointestinal, immune, and general health stand at a higher risk of imbalances and infections over time. Fortunately, supplementation via various foods and enhancers can be easily employed so as to recover your organism’s wholesomeness with basically no effort at all. Where do probiotics like Lactobacillus helveticus come from? Aside from the gut, ‘friendly’ bacteria like Lactobacillus helveticus can be traced back to certain external sources that consequently restore the gut’s average CFUs (colony-forming units). A normal individual’s gastrointestinal tract usually contains between 1-100 billion CFUs of ‘good’ and ‘bad’ bacteria alike. 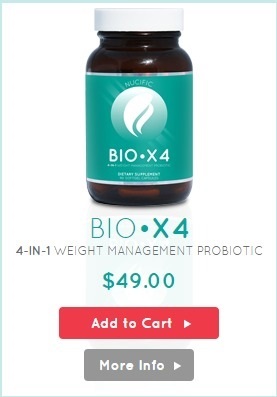 For optimal digestive and immune functionality, you need to rely on a 4:1 ratio in favour of probiotics. A reversed pattern of this delicate balance could result in unpleasant side effects like gas, bloating, visceral pain, and a considerably weakened immune system. Lactobacillus helveticus plays a particularly important role in this sense, since it allows for improved lactose tolerance, meliorated bone wellness, and normalized cardiovascular health. ✓Milk, kefir, buttermilk, soft cheeses – although milk-based products are often pasteurized, they can be easily infused with probiotic colonies before commercialization. Many mainstream brands (like Dannon and Chobani, for example) add Lactobacillus helveticus in their drinkable or traditional yogurts in order to promote gastrointestinal functionality. Moreover, Lactobacillus helveticus is renowned for its usage in distinct flavoured cheeses of the Parmesan, Cheddar, and Romano type. In fact, the hole-filled aspect of Emmental cheese is owed to the direct contribution of Lactobacillus helveticus. Similarly, Swiss cheese gets its particular nut flavour from the same ‘friendly’ organism during the fermentation process. ✓Pickles, olives, sauerkraut – as previously mentioned, probiotics from the Lactobacillus genus are inclined towards more intense processes of fermentation than other types of beneficial bacteria. This quality can thus be transferred in the preservation of most vegetables, either to obtain distinctly flavoured dishes or boost one’s natural probiotic count. A brine base (namely water mixed with higher doses of salt) is the ideal environment for the development of probiotics, since vinegar inhibits or eliminates their colonial expansion over time. ✓Kombucha tea, Kimchi, Umeboshi plums, Miso paste – these Asian delicacies can also be added into the probiotic boosting category because they make equal use of fermentation as their prime compositional activity. From spicy vegetables to teas, soybeans or even preserved fruit, such nutritive and tasty foods can become a very interesting way of diversifying your diet and nutritional intake alike. ✓Probiotic supplements – if your lifestyle or allergy concerns do not allow you to include probiotic foods into your day-to-day regime, then probiotic supplements are definitely the way to go for improved wellness. Owing to today’s more advanced technologies, quality dietary enhancers can actually preserve probiotic colonies with more accuracy than other options, as well as permit for a more controlled form of administration. Consequently, Lactobacillus helveticus enhancers can come as single or multi-blend strands, with a higher or lower microorganism concentration, as well as in an array of dosing formats (tablets, pills, liquid drops, powders, etc.). Lactobacillus helveticus – why is it so important for the human organism? Even though probiotic foods have been (unknowingly) consumed by people all throughout history, a scientific interest in how these microorganisms influence our biological makeup has only emerged in more recent history as a result of technological advances and a collective reorientation towards organic ways of boosting our health levels. 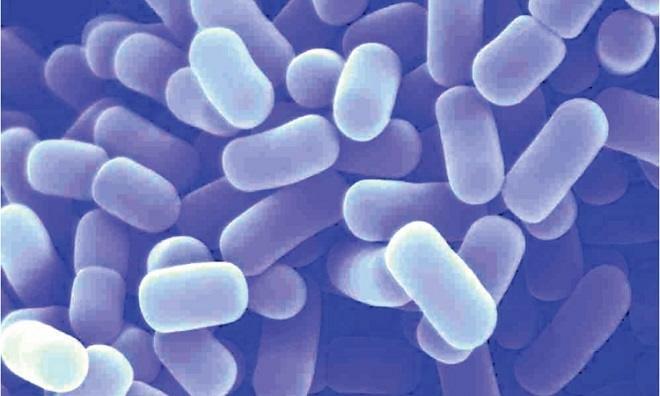 Hence, Lactobacillus helveticus was first isolated at the beginning of the 20th century and actually considered to be a part of the Bacillus genus. Its taxonomic evolution from that point onward remains therefore marked by numerous misidentifications and false categorizations that have placed it under different names and properties as well. Luckily enough, its vast employment in probiotic-boosted foods and drinks has made way for an in-depth study of Lactobacillus helveticus and, consequently, a correct evaluation of this beneficial bacterium’s immense potential. The promotion of gastrointestinal wellbeing is definitely one of the main reasons why Lactobacillus helveticus has quickly become such a popular probiotic choice all around the world. Many nutrition-centred studies have chosen to focus on this ‘good’ organism in light of its capacity to ease digestive processes, enhance bowel motility, and improve upon substance assimilation within the gut (as a direct outcome of correct digestion rhythms). As most Lactobacillus probiotics, Lactobacillus helveticus displays a distinct inclination towards potent fermentation activities. This property can be geared in several directions, all somehow related to intestinal functionality and human satisfaction, so to speak. Take the making of Swiss cheese, for instance, which is so heavily based on the fermentation qualities of Lactobacillus helveticus that it has even managed to get ‘included’ into the probiotic’s official denomination (the Latin ‘Helvetia’ means ‘Switzerland’, the place where this cheese is primarily produced). Lactobacillus helveticus is hence added to the milk base in order to kick-start the development of acid – more specifically, lactic acid – that causes the cheese to ‘ripen’ and acquire its particular taste, texture, and aspect. Similarly, Lactobacillus helveticus can be added to soft cheeses (namely types of cheese obtained without the involvement of heat) so as to soften the bitterness otherwise associated with an advanced fermentation activity and transform it into a nuttier aroma. Examples of cheese making techniques involving Lactobacillus helveticus can be found in the case of Mozzarella, Cheddar, Parmesan, Romano, etc. Lactobacillus helveticus’ ability to stimulate lactic acid levels is as valuable to the gastrointestinal system as it is to the food industry. Research has often concluded that the presence of this probiotic inside a healthy gut can lead to a significant increase in the number of peptides (amino acid bonds) during digestive cycles, therefore facilitating food decomposition and nutrient absorption in the case of milk-based products. This represents great news for those who struggle with lactose intolerance because Lactobacillus helveticus can thus help them enjoy a more diversified eating regime, without the fear of indigestion and other unwanted side effects of consuming dairy (bloating, gas, abdominal pain, irregular bowel motility, etc.). Aside from lactic acid, probiotics like Lactobacillus helveticus can also prompt the creation of hydrogen peroxide, which greatly helps the human body in terms of immunity protection against all kinds of pathogens (whether airborne, ingested, etc). This substance then inhibits viruses, microbes, and fungi from expanding into larger colonies in the long term and, as a result, shields the organism against health threatening illnesses. Lactobacillus helveticus can hence be linked with immunomodulatory properties such as reduced inflammation, restored mucosal unity, and even antimutagenic effects in time. One research paper actually revealed that Lactobacillus probiotics naturally increase their hydrogen peroxide production when they encounter pathogen infections, as is the case with episodes of bacterial vaginosis in women. If anything, this stands as proof of the importance ‘good’ bacteria of the Lactobacillus helveticus kind gain in the structure of the urogenital system too, which they help maintain within healthy readings through ‘bad’ bacterial suppression and proper microflora balance. Speaking of balance, you should also know that Lactobacillus helveticus can be attributed with a positive impact on oral health as well. Some medical articles aim their attention towards the influence of probiotics on dental integrity and oral health, with periodontal diseases exhibiting one of the most feasible utilizations of Lactobacillus helveticus as both an antimicrobial and an important factor in diminishing bone reabsorption. Lactobacillus helveticus has also been observed in close relation with the state of an individual’s cardiovascular health, to mostly satisfying results. Certain groups of peptides found in milk containing Lactobacillus helveticus reduce arterial stiffness without any noticeable side effects. Consequently, investigations have revealed that regular supplementation of Lactobacillus helveticus in a hypertensive person’s diet can drastically reduce blood pressure, minimize the chances of strokes, and overall meliorate the condition of their heart issues. Furthermore, some scientific work has successfully linked Lactobacillus helveticus to improved bone structure in terms of mineral content and density by suggesting that this ‘good’ bacterium enables for better calcium absorption, as well as for a more resistant skeletal structure (especially for postmenopausal women, who often have to face bone problems such as osteoporosis, for example). Surprisingly enough, Lactobacillus helveticus can promote a beneficial action on your mental state too. Because of the brain-gut axis, your mind and gastrointestinal system are innately linked, which means that they can mutually influence one another to a great extent at all times. Severe behavioural disturbances like depression and anxiety have been shown to become significantly more manageable when treated in connection with habitual Lactobacillus helveticus enhancement. Can Lactobacillus helveticus produce any side effects too? Despite its long list of benefits, Lactobacillus helveticus does come with a few warning signs too. 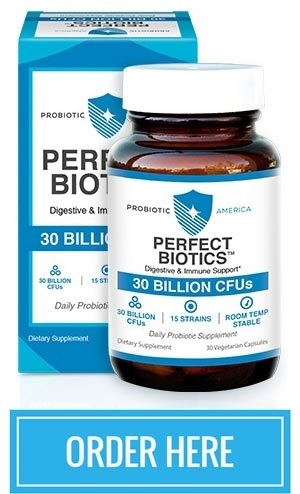 As a consequence, you should avoid active supplementation of this probiotic if you are facing a weakened immune system and/ or have been diagnosed with Short Bowel Syndrome. These situations create the ‘ideal’ environment for microorganism transmutations that could easily translate into severe cases of sepsis (bacteria entering the bloodstream). Check with your doctor or personal physician before starting a dietary regime or supplement programme which is rich in Lactobacillus helveticus because the latter can interfere with various kinds of medication, particularly from the steroid, immunosuppressant, and antibiotic categories. Women who are pregnant or breastfeeding should also consult with their healthcare provider before resorting to Lactobacillus helveticus supplementation of any sort, since this probiotic is only still considered to be ‘possibly safe’ for small children. Administering an excessive amount of Lactobacillus helveticus enhancers or foods can generate short episodes of abdominal discomfort, with symptoms such as bloating, flatulence, cramps, and irregular bowel movements (diarrhea/ constipation). These symptoms should subside in a few days to a week tops, but caution is advised owing to the fact that they can take their toll on your day-to-day activity. From gastrointestinal and immune protection to cardiovascular, bone, and mental wellness, it would seem that Lactobacillus helveticus can cover a wide array of ‘good’ points inside the human body. While scientific findings might still be at the beginning of their discoveries regarding this probiotic in particular, the results gathered so far appear to be more than promising for Lactobacillus helveticus and its contribution to one’s body and mind. So don’t shy away from Lactobacillus helveticus in your quest towards overall wholesomeness. Who knows? You might be in for a pleasant surprise after all! 2 Comments on "Lactobacillus Helveticus"
the ones I don’t like as well says extra strains in a gold strip on the label.